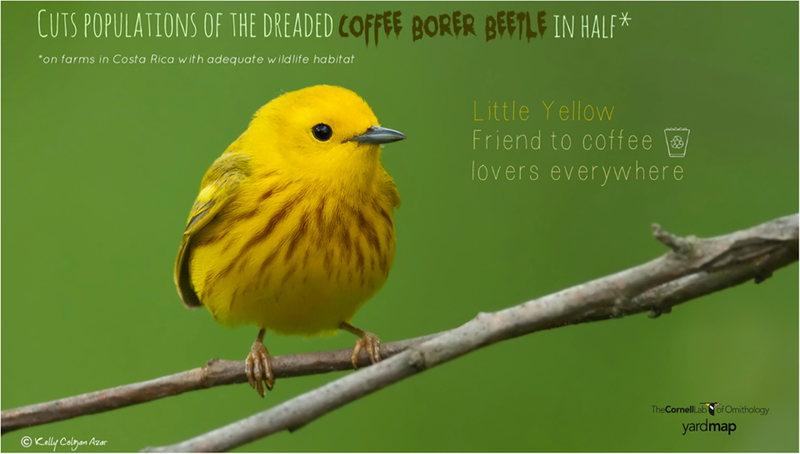 New research in Costa Rica shows that hungry warblers and other birds significantly reduce damage by a devastating coffee pest, the coffee berry borer beetle. That’s good news for farmers and coffee-lovers. In fact, the birds ate enough beetles to save a medium-sized farm about $9,500 US a year. But the benefits were strongest for those farms that had some forest cover on and around the farm, which attracts the birds. More forest + more birds = more coffee. Hooray! This entry was posted in Uncategorized and tagged Beetle, Bird, Coffee, Coffee borer beetle, cornell lab of ornithology, Costa Rica, Farm, Shade-grown coffee, songbirds, sustainable farming, warblers, YardMap. Bookmark the permalink.